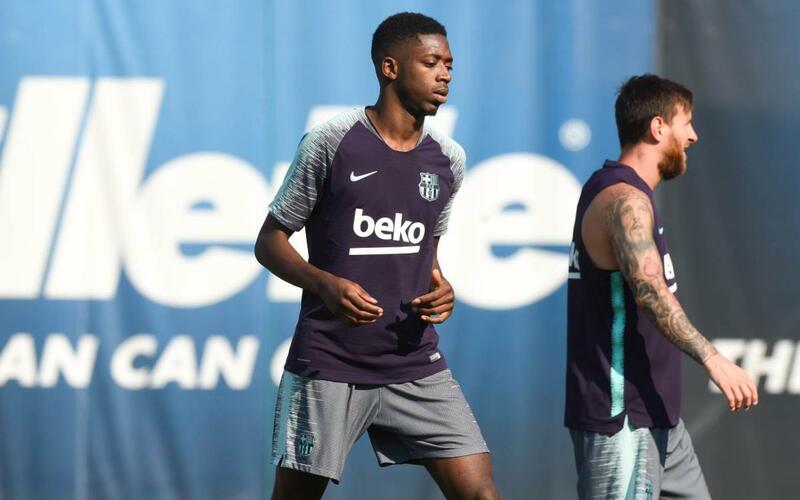 A new face at training on Saturday at the Ciutat Esportiva Joan Gampe; Ousmane Dembélé rejoined the first team sessions, the final one of week with Sunday a rest day for the squad. The Frenchman cut short his summer break to return ahead of schedule and joined Gerard Piqué, Jordi Alba, Sergio Busquets, Leo Messi and Sergi Samper in the final training workout of the week. The rest of the Barça internationals will return on Monday 6 August with the usual medicals for the players, including Dembélé. In Saturday’s session Barça B players Sarsanedas, Morer, Munica, Jandro and Ruiz de Galarreta also took part.